One of Japan’s three major delicacies “Shiouni” began in Tentatsu. About 200 years ago, the general people could not taste our product Shiouni. From 200 years ago we caught sea urchins at Fukui seaside.Our company Tentatsu sold Shiouni made by sea urchin. Shiouni was eaten by the Royal family and aristocrats. 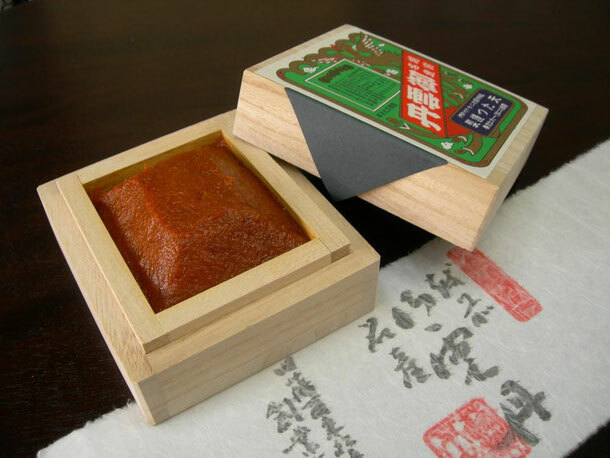 The 3rd generation owner of our company, Gohei Amano, obeyed an order from the feudal load of Fukui, Haruyoshi Matsudaira to produce a preserved food using sea urchins that could be carried by soldiers during the war. 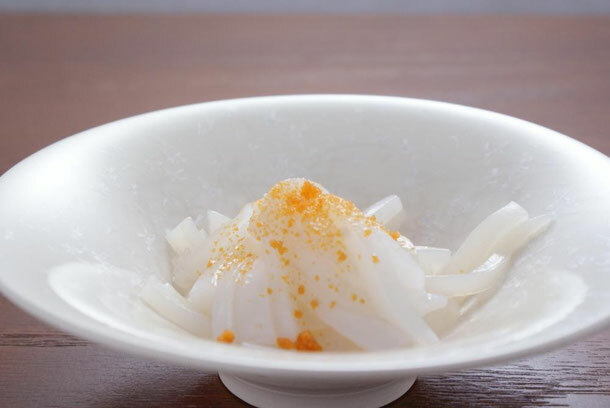 Then Gohei discovered the process of preserving the sea urchins with salt using the “salted method(塩蔵法)”. 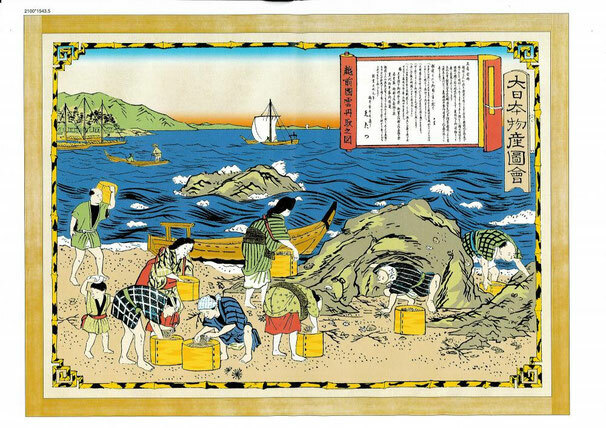 Afterward, the method was passed down through the generations and spread along the seashore in Fukui. The general people could not taste our product Shiouni. They were used as a tribute for the House of Tokugawa, the other feudal load, and the imperial family. Then, it spread through the feudal lands of the whole country. 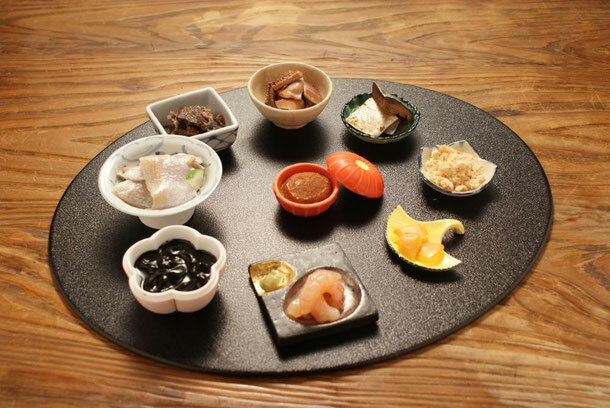 The feudal load of Nagasaki, Owari and Fukui’s Karasumi, Konowata and Shiouni respectively were considered Japans 3 major delicacies because they had a special rich taste and were difficult to obtain. 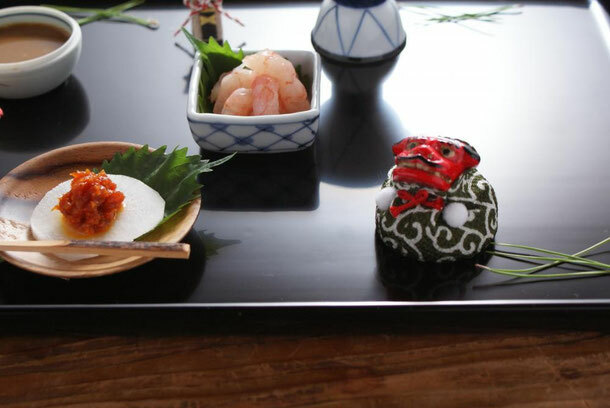 Kanimiso Kanzume is made from boiling the remains of snow crabs with a touch of sweet seasoning. It is great for yourself or as a souvenir for anyone who enjoys drinking Japanese sake or wine. 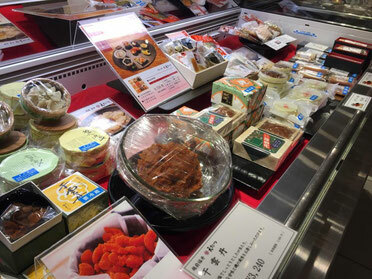 Our company Tentatsu has another enjoyable food by the name of _Kanimiso Kanzume_ . 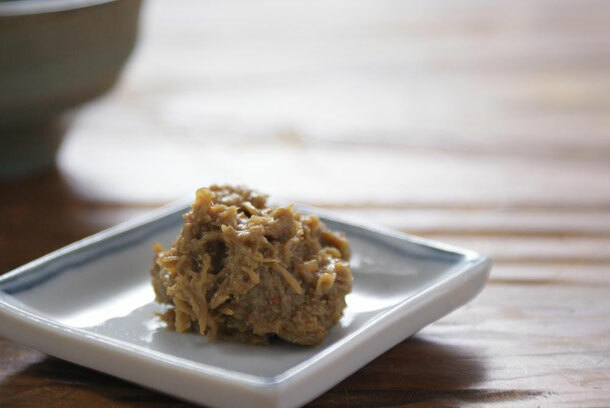 It is made from boiling the remains of snow crabs with a touch of sweet seasoning. Once mixed with the delicious seasoning, it is boiled at both a high temperature and pressure to seal in the flavor before it is canned. At the reasonable price of 550 Japanese yen per 60 gram package, Kanimiso Kanzume is great for yourself or as a souvenir for anyone who enjoys drinking Japanese sake or wine. It also has over a 1 year shelf life because of the canning process used to package it. 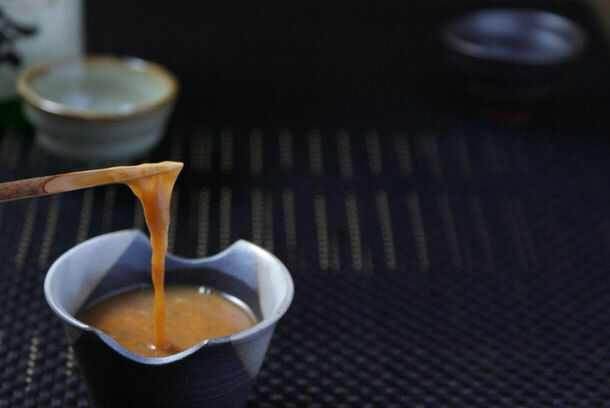 Enjoying Kanimiso Kanzume is as simple as opening the can, minding the sharp edges, and serving in your desired dish before partaking in this delicacy raw. Although it has a long shelf life prior to opening, it is best enjoyed shortly after it is opened. 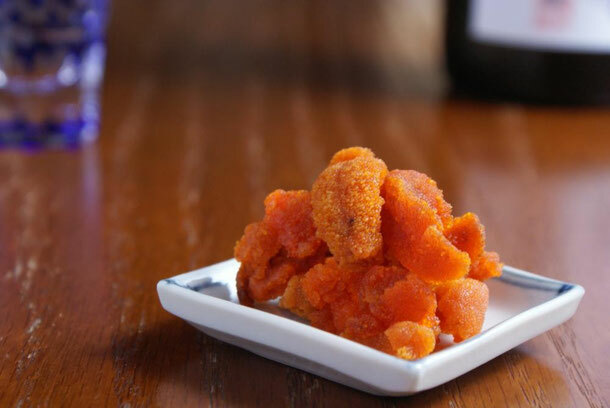 Kanimiso Kanzume is traditionally eaten raw however when baked lightly, it becomes even more delicious especially when paired with Japanese sake and wine. It has a nice toasted, sea fragrance along with an outstanding flavor. It can also be used when making cuisine as well. Adding it to dishes such as pasta, risotto, salad and ahijo really bring out the best flavor of ever ingredient. 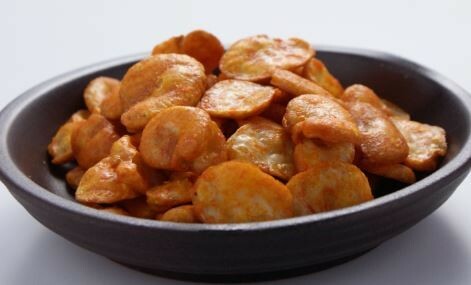 It can be enjoyed in a dish , simple paired with bread and cheese, or baked and served with sake and wine. 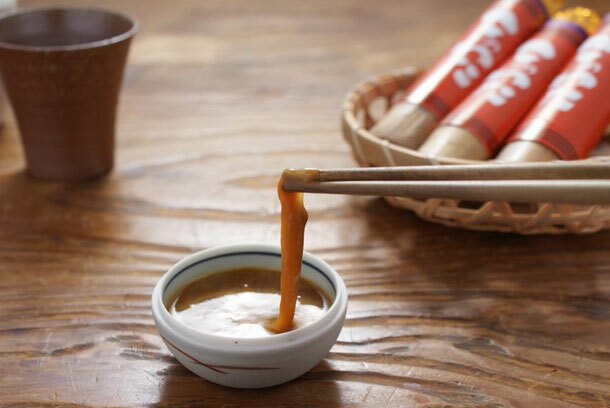 You should experience eating Kanimisokanzume.